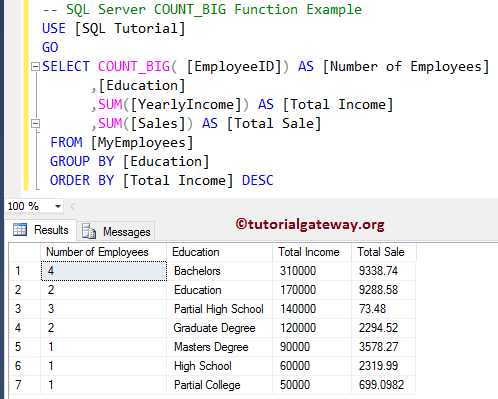 The SQL COUNT_BIG is one of the SQL Aggregate Function which is used to Count the number of items / rows selected by the SELECT Statement. It works same as the SQL Count function, but it returns the bigint. 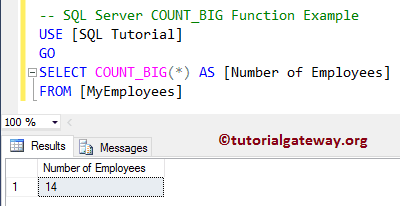 The SQL COUNT_BIG (DISTINCT Column Name) returns the Unique number of records present in the specified column whose values are NOT NULL. 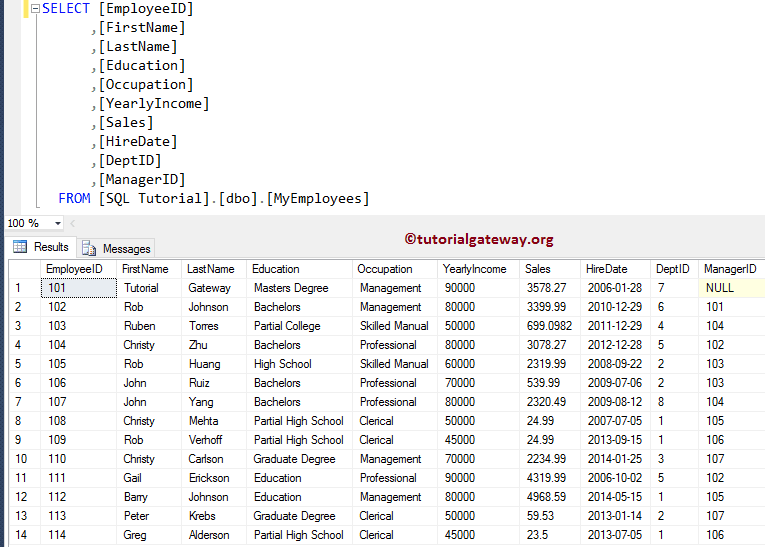 TIP: The SQL DISTINCT Keyword is used to remove the Duplicates from the specified column Name.